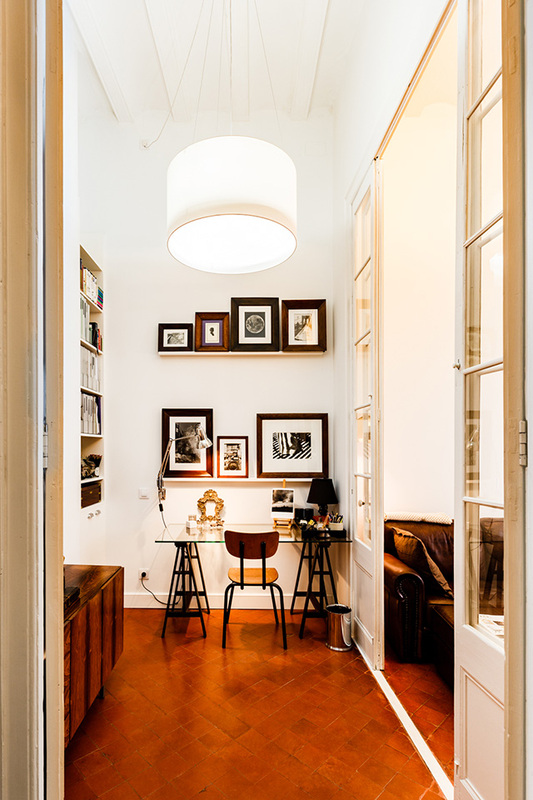 Our reform on the main floor of an old building on Sant Pere street in Barcelona followed the premise: enhance spatial verticality and restore the original architectural elements. There was a great work of woodwork and structural reinforcement from the beginning of the project. The original doors and windows were restored, always thinking about the client’s interest in the charm of being in an old area and to preserve the essence of the floor. Although initially it was not contemplated, we choose to maintain communication between the kitchen and the study through the original window. We chose white for all vertical surfaces (walls and woodwork ) thereby open the way to the various shades of the original floors. 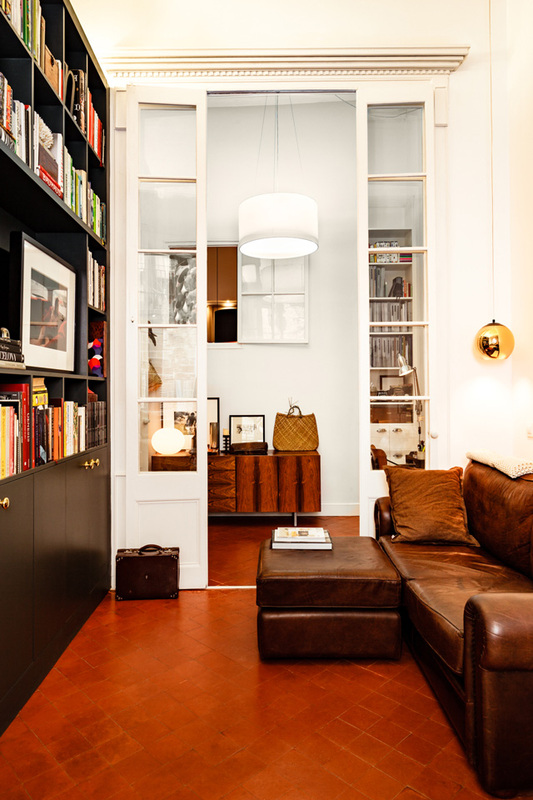 The different libraries of the flat have an important role and reflect the love of reading of its inhabitants. 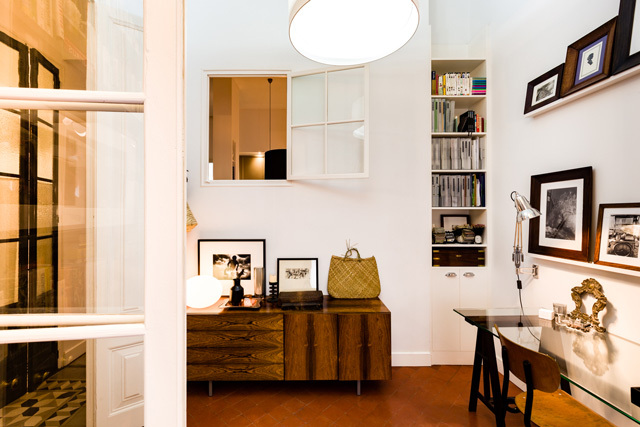 The humid areas were completely renovated while preserving the aesthetics of the flat. 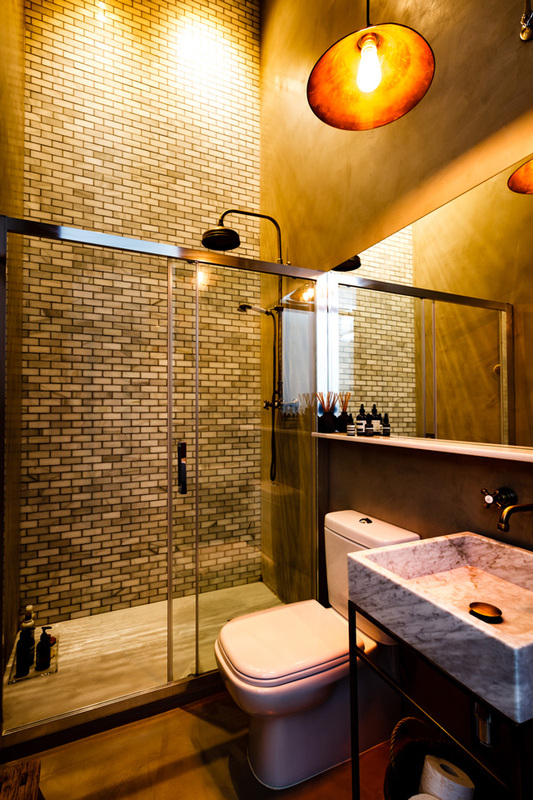 The bathrooms were made by hand, placing small pieces of ¨macael¨ marble one by one.